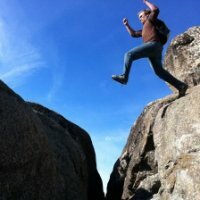 I’m a computational scientist interested in applying physical and statistical methods to biological and social problems. Currently I’m Director of Science at Tyche Analytics Company, a small startup focused on modeling casualty risk through machine learning, natural language processing and geospatial analysis. Previously I was a research assistant in the Erill Lab at UMBC, where I completed my Ph.D. in 2016. My research centered broadly on understanding how bacterial cells compute their metabolism, and specifically on biophysical models of transcription factor / binding site co-evolution. © 2018 Patrick O'Neill. Powered by Jekyll & AcademicPages, a fork of Minimal Mistakes.